Our film Watershed Revolution is screening this Saturday night as part of the Wild and Scenic Environmental Film Festival hosted by Ventura Hillsides Conservancy. 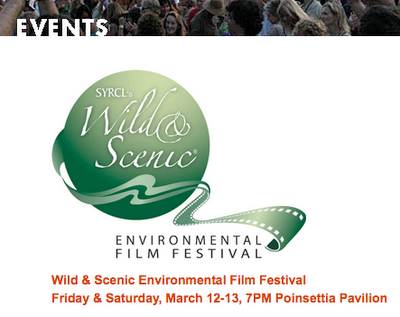 Wild and Scenic Environmental Films "On Tour" will visit over 100 cities this year. The Ventura Hilsides Conservancy will host the traveling Film Festival at the Poinsettia Pavilion in Ventura on Friday, March 12 and Saturday, March 13 starting at 7pm. A different lineup will screen each night. Friday night's theme is land and has some great family short films. Saturday night's theme will be water, headlining our local film Watershed Revolution.